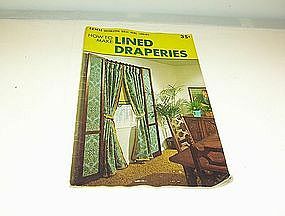 1,001 Decorating Ideas Home Library How to Make Lined Draperies which sold originally for 35 cents is available for purchase. The book is sold AS IS/USED. The bottom of the book looks like maybe it had gotten damp but does NOT smell like mildew it is just appearance makes it look that way and feel. Any questions please email me. There is no date on this book. Does have some notes written in ink on inside front cover. 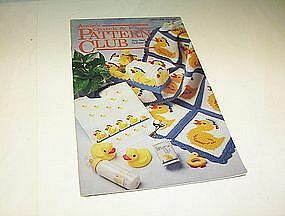 Annie's Quick & Easy Pattern Club for Dec 93 -Jan 94 Number 84 is available for purchase. The book is in good USED/AS IS condition, the address on back cover has been removed but NOT cut out. Any questions please email me. Will accept money orders and cashier checks. Will also accept personal checks with UP to 10 days to clear. THANKS. Crochet Dolly Doorstops Annie's Attic Inc. 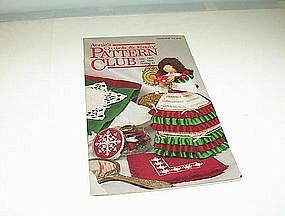 This wonderful crochet book is available for purchase it is titled Crochet Dolly Doorstops and is published by Annie's Attic, Inc. No.87H77 copyright 1994/95 issue. The book is in great condition but is SOLD AS IS/USED. Any questions please email me. Will mail to USA address for $6. Leisure Arts Leaflet 446 Crocheted Collars with six designs by Eunice Svinicki is available for purchase. The Leaflet is SOLD AS IS/USED. 1986 issue. 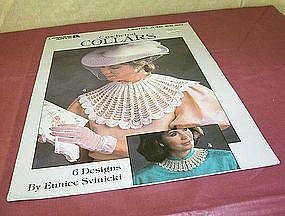 It has some beautiful collars to crochet. Please email me any questions. Will mail USA address for $3.00. 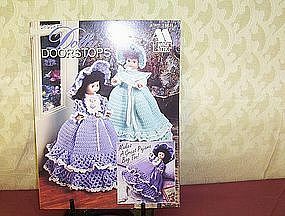 Katrina Designs, Inc, 1981 Memories booklet is being offered for sale as USED/AS IS in good condition. Postage determined by your zip. Questions please email. Cross stitch booklet Book 525, Green Apple, Inc. Strawberries Etcetera featuring designs by Jeanne Bowers and Janet Powers, sold as/is/used in good conditon. Will determine postage by your zip. 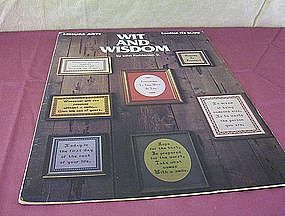 This Leisure Arts Leaflet 113 "Wit and Wisdom" by John Feddersen, Jr. is available for purchase and is being offered as SOLD/USED/AS IS. Please email me for any questions you may have - will be happy to reply. Will mail to your USA address for $4.00. Coats and Clarks Book No. 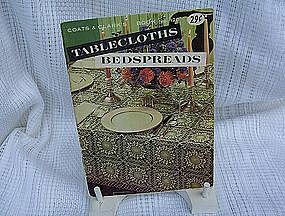 120 titled Tablecloths and Bedspreads is available for purchase. The book is being sold AS IS and USED condition. it is copyright 1961. The cover is semi-detached. Any questions please email me. Will charge $2.00 to cover mailing expense and handling to USA address., Any others please inquire prior to purchase. Thank you. Lily Design Book No. 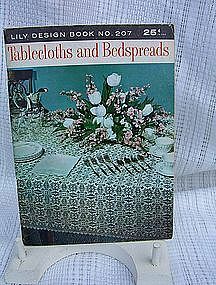 207 which features Tablecloths and Bedspreads copyright 1963 from Lily Mills Comany, Shelby, NC is available for purchase. The book is sold AS IS/WHERE FOUND/USED does have some signs of usage. Beautiful patterns to choose from to create lovely handcrafted items for yourself or a friend!! Will charge media rate for handling/postage USA address. Any questions please email me. Coats and Clarks Book No. 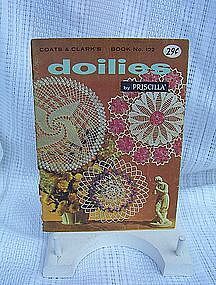 122 titled Doilies by Priscilla copyright 1961 is available for purchase. The book has lovely patterns to crochet. The book has been used and shows signs of usage. The back cover has some edges missing lower left side. The front cover is beginning to become semi-detached. Charge $2.00 handling/postage USA address. Please email me for any questions. 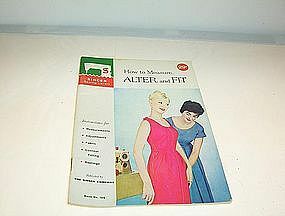 This Singer Sewing Library book titled "How to Measure, ALTER and FIT" is Book No. 106 which originally sold for 29 cents in 1960. This is a 1960 issue . It is sold AS/IS/USED in normal good condition. Please email me for questions. 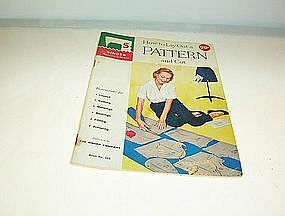 Copyright 1960 Singer Sewing Library booklet No 105 "how to lay out a PATTERN and Cut" is available for purchase. The book is sold AS IS/USED Back cover has some stains which look like coffee or a drink splatter which caused the staple holding book together to get wet thus rusted. This one is for the sewing collector. Please email me for any questions. 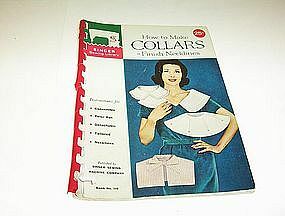 Terrrific addition to the Sewing expert> How to Make Collars Finish Necklines by Singer Sewing Library Book No. 110 is available for purchase. The booklet is SOLD AS IS/USED condition and does show some visible wear/stains/marks, It is copyright 1960. Please contact me if you have any questions, I will be happy to respond. Will accept money orders and cashier checks. Will also accept personal checks with UP to 10 days to clear. Coats & Clark's Book No. 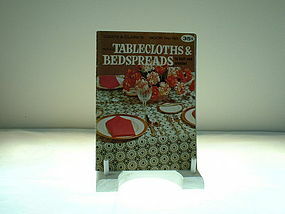 193 Priscilla Tablecloths and Bedspreads to knit and crochet copyright 1969, First Edition 1168 is in good condition. has been used and does show some wear/tear for its age. all pages intact. will ship media rate to your zip from zip 37865. will accept money orders, cashier checks, personal checks with UP to 10 days to clear. Clark's O.N.T. . J. 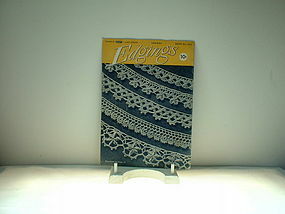 & P. Coats Edgings Book No. 254 copyright 1949 second edition is available. It is in good condition with nice neat patterns!! will mail media rate to your zip and postage determined by zip. will accept money orders, cashier checks or personal checks with UP to 10 days to clear.